Watch elephants swim and play in the Mugie Dam, from the vantage point of a kayak. Go for a game drive where you are sure to see buffalo, zebra (maybe the rare Grevy’s Zebra), the endangered Jackson’s Hartebeest, impala, waterbuck, and maybe lion or cheetah. Or go on a night drive and spot the dusk and nocturnal game – hyenas (both striped and spotted), mongoose, jennet cats, porcupines, and more. Have sundowners, a Tusker or a glass of wine, at the “Sundowner Tree” - the iconic acacia on the conservancy planes. Take a walk with the Mugie bloodhounds on their daily training exercises and watch these amazing dogs work. 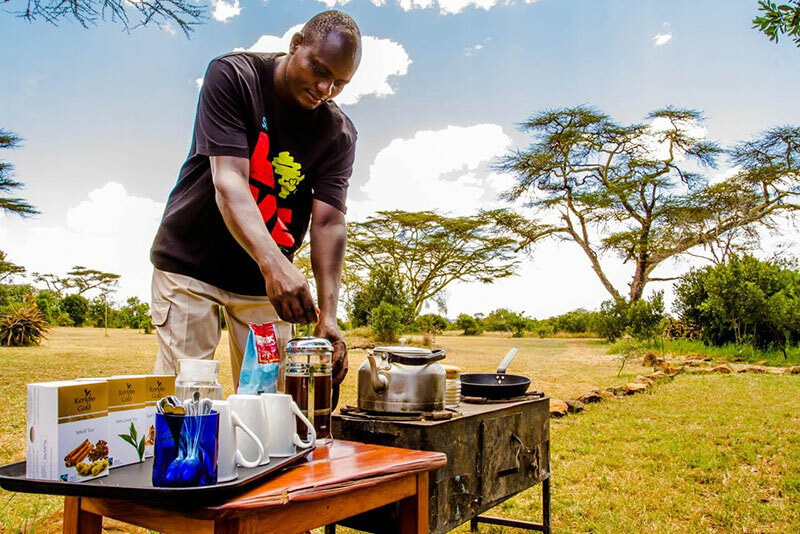 Fly camp for a night – end your game drive at a beautiful and inviting fly-camp, have dinner by the fire, and sleep under the stars around the fire or in a tent, up to watch the sunrise with a hot cup of tea or coffee, and then have breakfast around the fire. Return from your fly-camp by camel! Ride back across Mugie and have a whole new view of game and the bush as you peacefully traverse the sanctuary. A guided bush-walk across the planes is the perfect way to see and learn about the often-overlooked flora and fauna. Visit the Mugie School and meet the wonderful headmaster, Bernard, and, if you like, join in a game of football with some of the students. Enjoy a bush breakfast or picnic lunch –the best way to truly have the whole safari experience, taking in the quiet hum of the bush as you sit over a delicious and freshly made, home-cooked meal. Relax in camp for the afternoon – take a dip in the pool, read your book in the shade of the pool deck (watching elephant, giraffe, zebra, waterbuck, and more, wander past), practice archery or play volleyball on the lawns, jump on the trampoline, or enjoy watching the resident birdlife. We are proud to announce this morning, a partnership with Fairtrade Eastern Africa as the first hospitality establishment to join the #FairtradeOnHolidayProgramme by purchasing Fairtrade products for use in our camp. 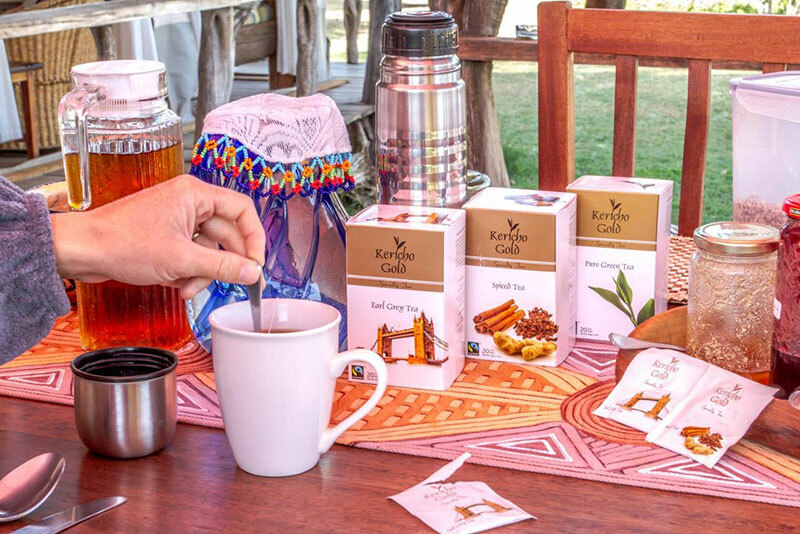 By stocking Fairtrade products, we demonstrated our ethical commitment to our guests as well as positively impact the producers of these commodities by allowing them earn a fair price for their products as well as use #FairtradePremiums to develop their local community.